Cloud Nine is in Scotland! Cloud Nine is now based in Oban following a challenging delivery trip from Split in Croatia during April and May of this year. We experienced unseasonable weather all the way round the Med; right from the start of the trip we were either storm bound or had strong winds on the nose and heavy seas to match. 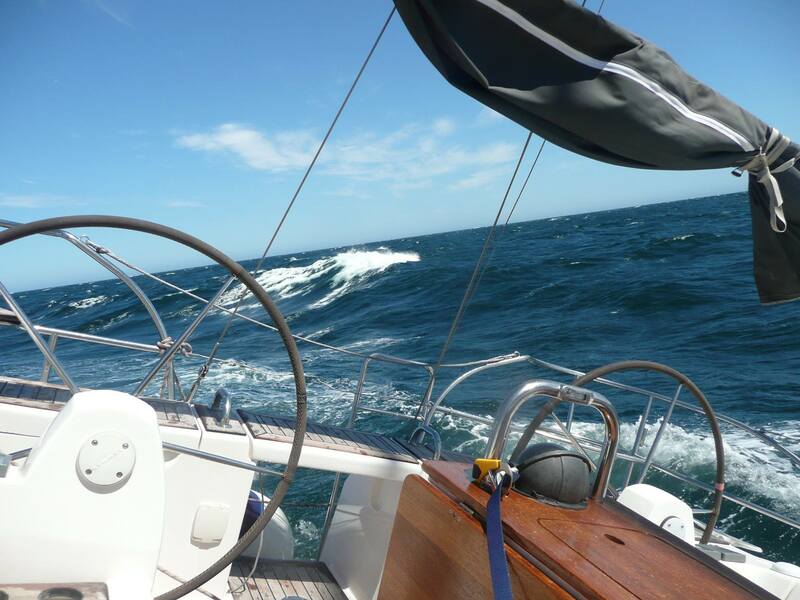 Our most exciting moments were in the Golfe De Lyon where the winds reached 54 knots! However, Cloud Nine took this all in her stride and performed brilliantly. By contrast, the Bay of Biscay was an eerily calm, glassy mirror for 400 miles and we motored most of it! Nonetheless, we saw some fabulous sites. At the last count we covered over 3,700 miles, passed by or through 13 seas, 217 lighthouses, 26 harbours, 4 anchorages, 197 ancient watch towers and just a few wineries! We experienced desert sand floating onto deck like angel dust, the hectic straights of Messina, a flaming dawn as we dodged oil platforms coming into Crotone, thousands of tiny translucent sea creatures just off Sicily, the belches of volcanic Stromboli, helicopter rush hour off Monaco, the security guard who bought us a Spanish cake to cheer us up, electric storms on arrival in Gibraltar, the wild beauty of north west Spain, a wee tired swallow who hitched a lift at the Scillies and best of all a sun soaked broad reach up to Oban and always – – the playful dolphins and the starry nights. Since coming home Cloud Nine has had an upgrade and a wee makeover; she is looking fabulous and is ready for charter!